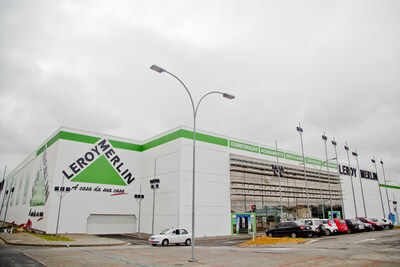 AUSTIN, Texas, March 19, 2019 /PRNewswire/ -- With more than 80,000 items in 15 categories, Leroy Merlin Brazil, an Adeo company, is the largest home improvement retailer in Brazil. The well-regarded DIY giant continues its track record of innovation with the selection of Revionics Price Optimization to craft more localized, customer-centric pricing, increase business agility and deliver a more assertive competitive price image in Brazil's complex economic environment. The three-year subscription license agreement followed an extensive and disciplined assessment of available price optimization options in the market. "Through a multi-year education process, customer visit and a structured RFP approach, our assessment identified Revionics AI-based price optimization as the clear choice," said Leroy Merlin Brazil Chief Merchandising Officer Adriano Galoro. "We are excited to team with Revionics to fulfill our vision of enhanced business results, the ability to respond rapidly to changing competitive and customer activity, and structure a state-of-the-art pricing team delivering localized, customer-focused prices." "We are excited to team with the innovators at Leroy Merlin Brazil who relentlessly work to bring their customers outstanding selection, high-quality products and relevant prices," said Revionics Chairman and CEO Marc H. Hafner. "We are excited to help them drive innovation and business success in a growing number of markets, and we remain deeply committed to a success-focused long-term strategic relationship." Headquartered in France, Adeo is a world-leading home-improvement retailer and Leroy Merlin Brazil is one of Adeo's holding companies. With almost 760 do-it-yourself stores across 12 countries, Leroy Merlin is committed to helping residents and homeowners find the perfect solutions for their projects. Serving more than 444 million customers each year, Leroy Merlin employs more than 100,000 people and generates an annual turnover in excess of EUR 22 billion.